A veterinarian in Pennsylvania has made a major medical breakthrough for all the fish in the world struggling with respiratory issues -- yes you read that correctly. When Mr. 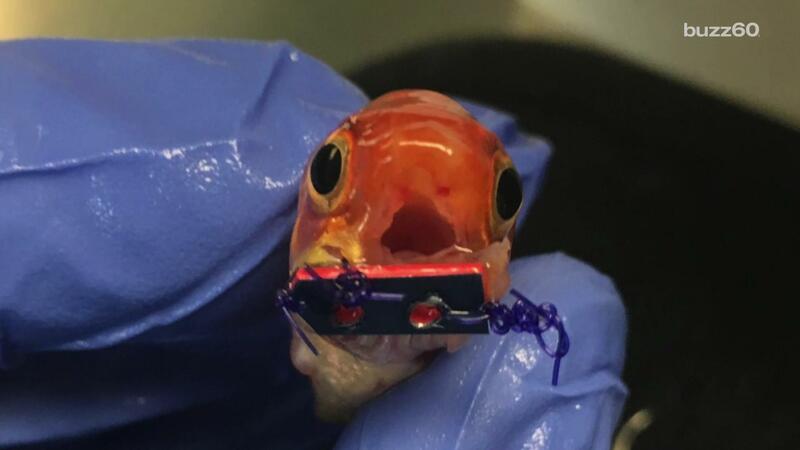 Hot Wing, a pet goldfish born without a lower jawbone, came in to see Dr. Brian Palmeiro, he was having trouble breathing and eating because he couldn't keep his mouth open, according to WPVI-TV. But Palmeiro had a brilliant solution in mind to solve all of the little guy's problems -- braces! After conducting quite a bit of research, Palmeiro was able to make a customized mouth gear out of plastic from a credit card that will allow Mr. Hot Wing keep his mouth open. The surgery only cost $150, which was a major steal for a life-changing medical procedure. Mr. Hot Wing can now breathe and eat in peace just like all the other goldfish in his school.